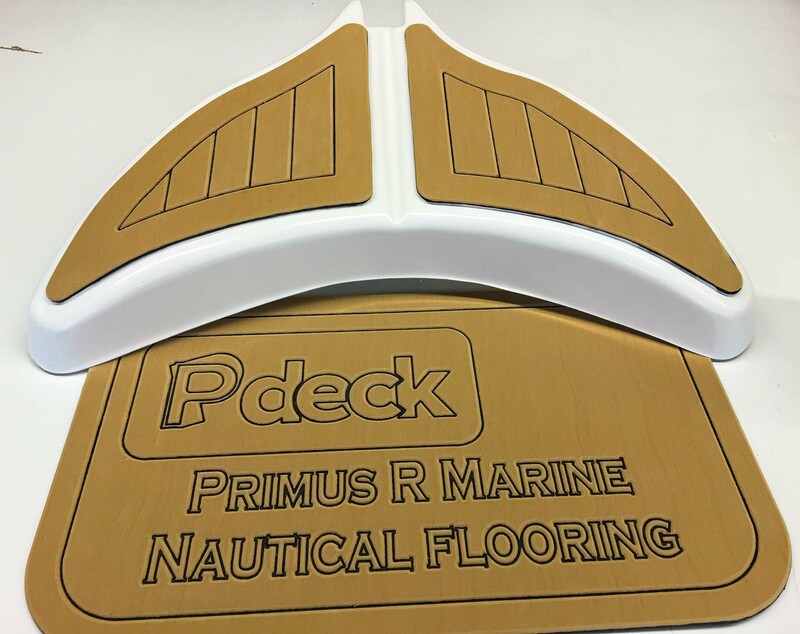 P deck is made from synthetic rubber foam and suitable for use in indoors as well as outdoors. It is odourless and guarantees an excellent thermal and acoustic insulation. It is manufactured in two colors. 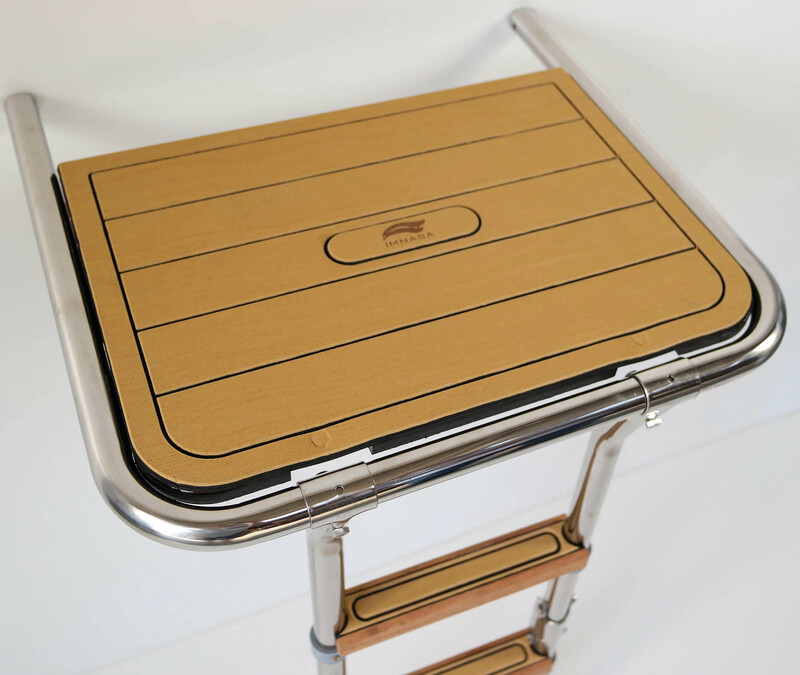 The surface of the panel is slip resistant and comfortable when walking barefoot or wearing shoes. The material is resistant to oils, solvents and adverse weather conditions. 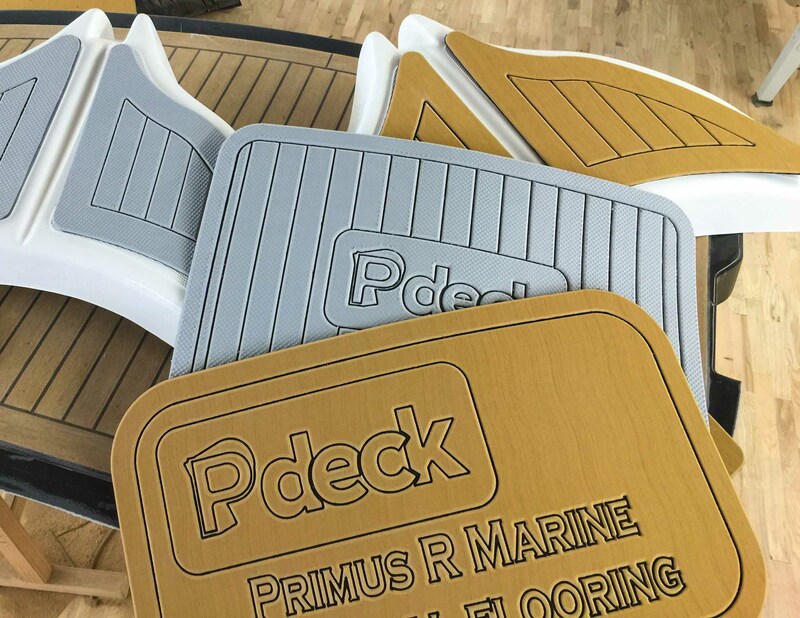 P deck is also distinguished by a low thermal conductivity and comfortable walking surface, which is not overheated even after a long exposure to sun comparing to other synthetic teak products. It is a floating and waterproof material with closed cells and allows for no absorption whatsoever, which means that dirt does not stick to the surface or penetrate the material. P deck HD (high density). 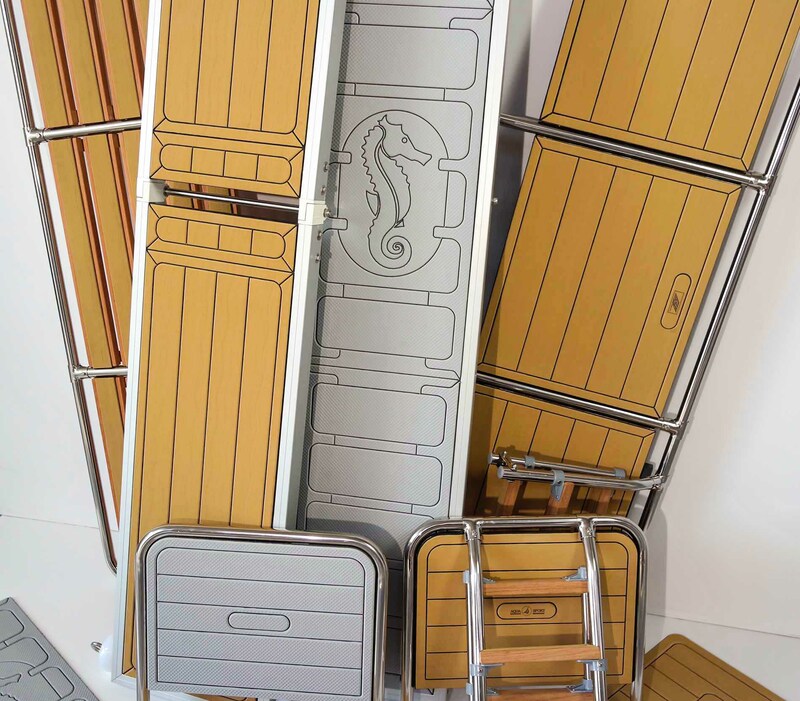 It can be made in a wide variety of shapes, different colors, logo engravings and more. 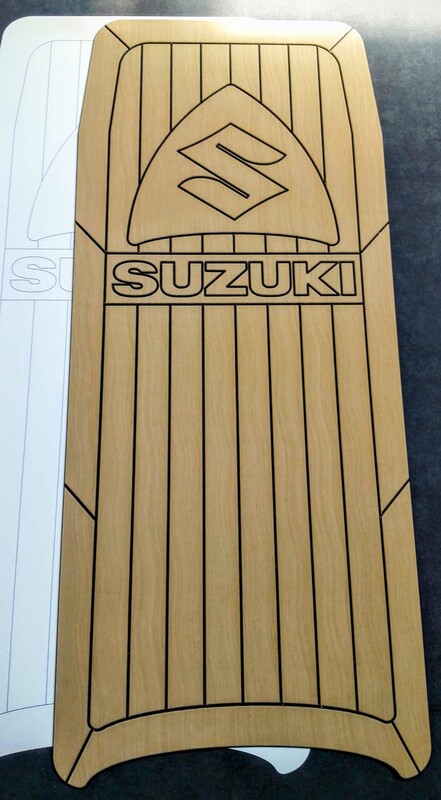 It is also used on jet skis, surfing boards and inflatable boards (SUP). 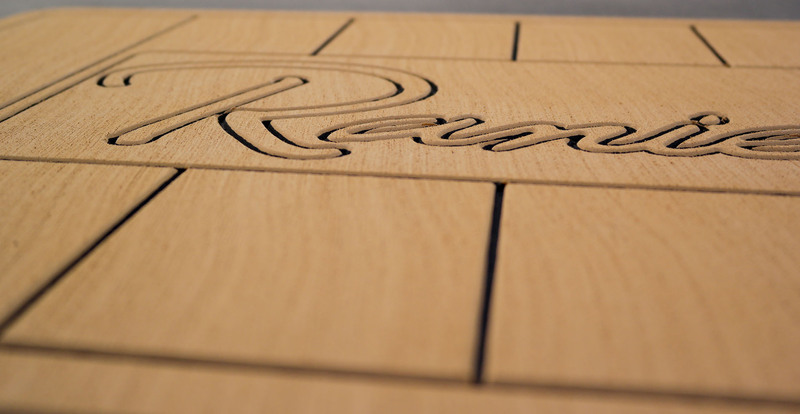 Thanks to its flexibility it can be used both in curved or even surfaces. 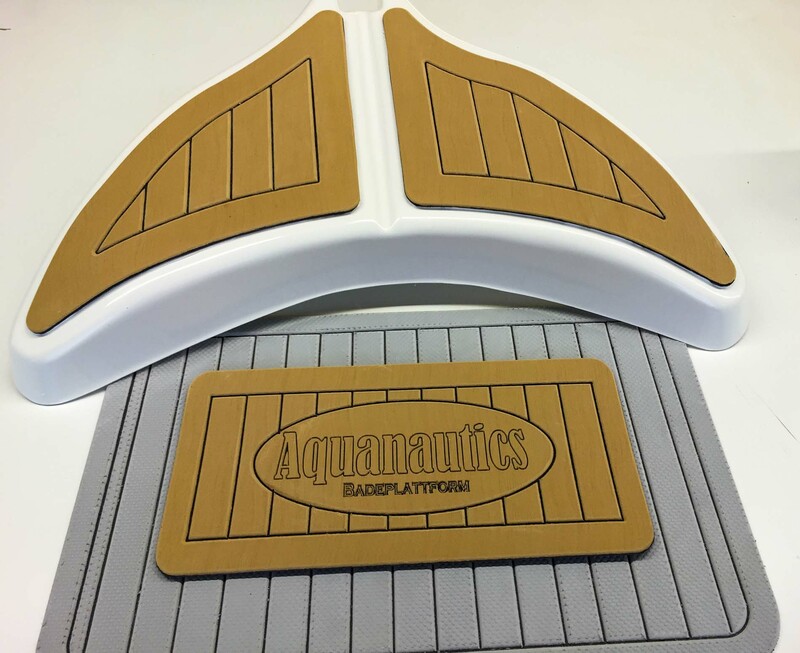 If offers endless application possibilities, it can also be presented as a gift such as coasters, mouse pads etc. 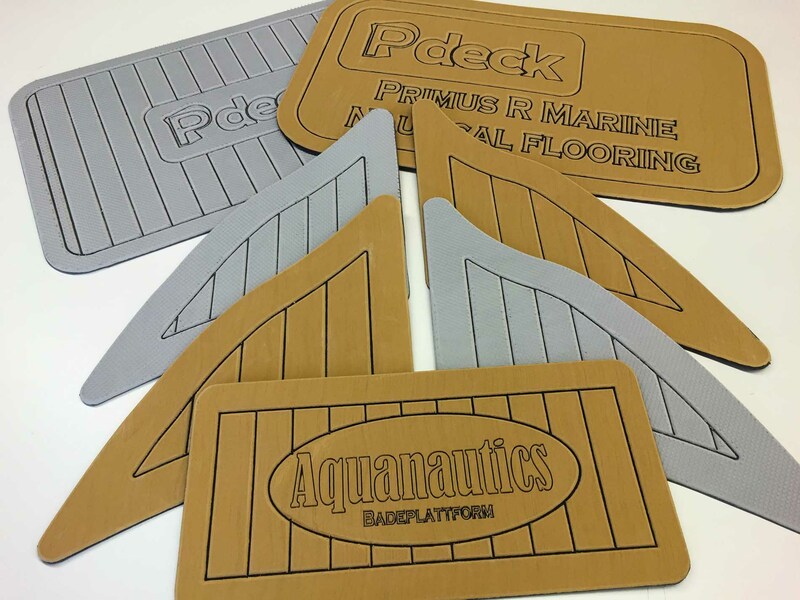 P deck is glued on the surface with a one component adhesive “Bostik MSR CA SSKF”. The installation does not require a processed surface. 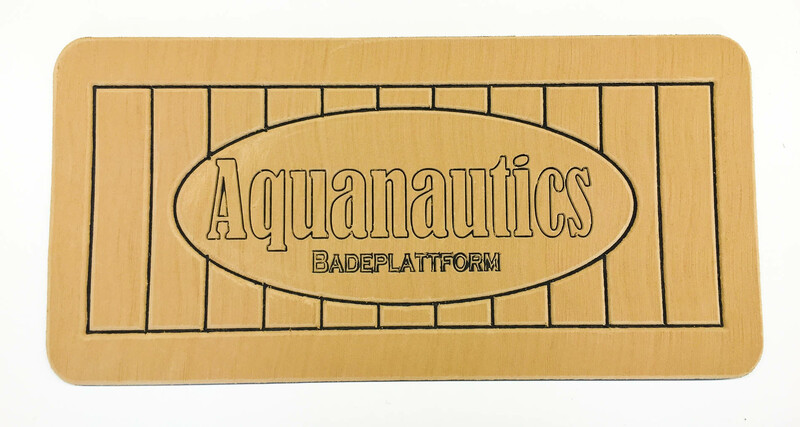 Note: water-based adhesives are not suitable for adhering P deck. 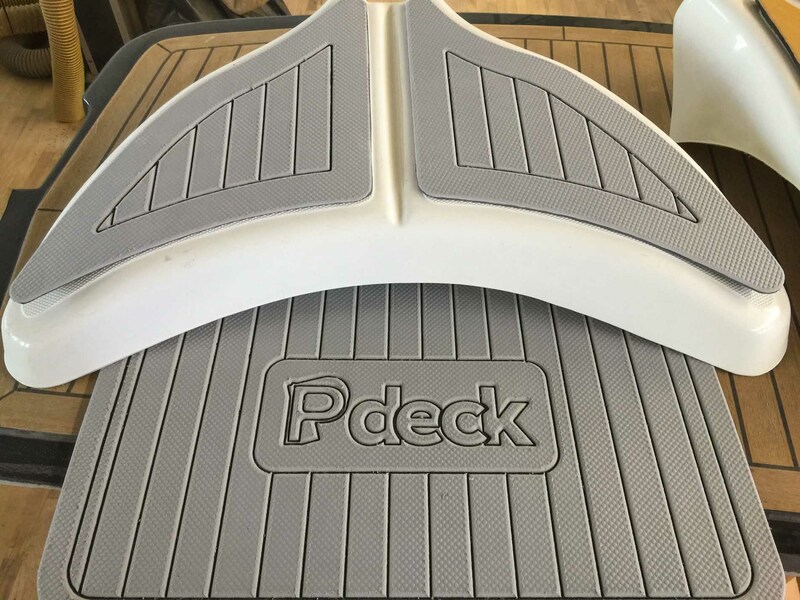 P deck is easy to clean by using liquid soap or detergent. This way any traces of dust, salt, fuel, synthetic oils or mineral can quickly be removed. It is resistant to most detergents, however, it is recommended that only acetone be used for major cleaning interventions, but only for a brief period of time. In the most difficult cases it can be cleaned by rinsing the surface with water, detergent or acetone and additionally using sand paper with a 60 or 80 grit to sand it in the direction of the rings.